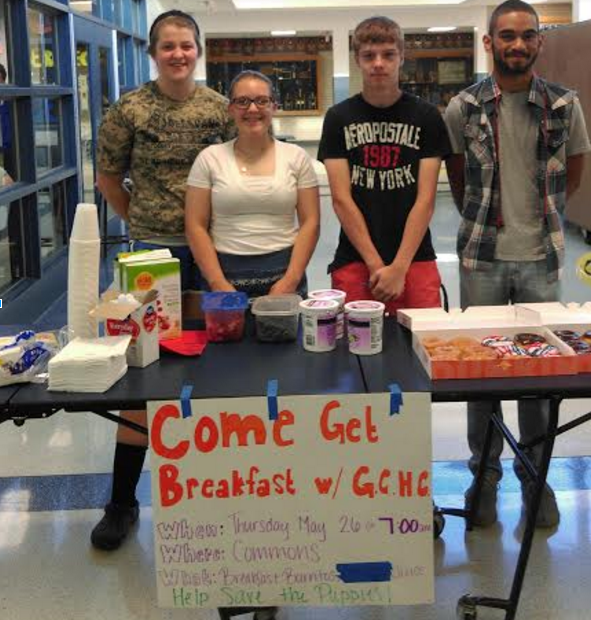 Business Education teacher Jodi Scott’s College Accounting students at DDHS set up to sell breakfast to the school on Thursday, May 26. The groups sold donuts, yogurt parfaits, breakfast burritos, juices and other breakfast items. Both groups had a lot of business and ended up running out of food right before the sale was over. Students from both groups say that they had a lot of fun getting everything set up and going through the process of selling. The students have to treat this activity like it’s an actual business by writing up the marketing, management, finances and food safety guidelines. Both groups were very successful and agreed that it was a good way to end their College Accounting class.